• Named after a lyric from Magazine’s ground-breaking hit, ‘Shot By Both Sides’, TO THE OUTSIDE OF EVERYTHING tells a musical story of how the UK’s post-punk scene evolved from the spirit of 1977 and the arrival of key labels such as Fast, Rough Trade, Zoo, Factory and Cherry Red. 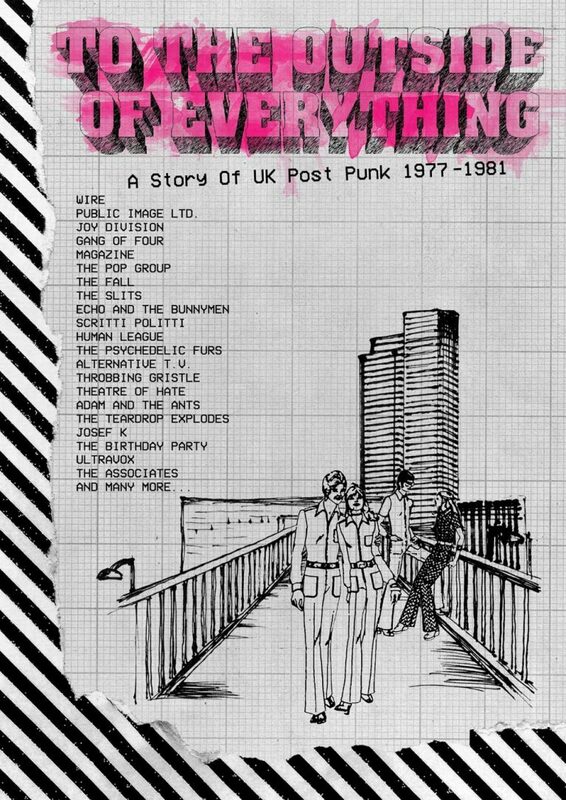 • Includes landmark singles by Joy Division, PiL, Wire, Gang Of Four, The Slits, Killing Joke, Echo And The Bunnymen, Scritti Politti, The Pop Group, Human League, The Fall, Alternative T.V., Tubeway Army, Adam And The Ants, Josef K, The Teardrop Explodes, Throbbing Gristle, The Psychedelic Furs, Theatre Of Hate, The Birthday Party, The Associates, Fire Engines, and Ultravox. • Boasts a lengthy essay and band-by-band histories by ex-NME journalist Neil Taylor within a lavishly illustrated 48-page booklet. • Post-Punk was a belated term adopted to describe the creative outpouring of largely independent music which flourished in the wake of the Punk explosion. • Created by the same Cherry Red team behind such previous, acclaimed box sets as Scared To Get Happy, Millions Like Us, Still In A Dream, Action Time Vision, etc. 1. YOUNG SAVAGE - Ultravox! 2. LOST IN ROOM – Alternative T.V. 5. WARM GIRLS –Girls At Our Best! 11. WE ARE ALL ANIMALS – The Diagram Bros.